Everyone has heard of Harry Houdini, the renowned escape artist and magician, but what about his brother Dash? The boys were midway among the seven children of a Hungarian rabbi. The family immigrated to the United States in 1878 when Harry was four and Theodore (“Theo” or “Dash”) was two. The family lived for several years in Appleton, Wisconsin, where Rabbi Weiss became an American citizen in 1882. He took Erich with him to New York in 1887, and the rest of the family soon joined them there. The six boys of the family were athletic. Harry was a champion cross country runner. 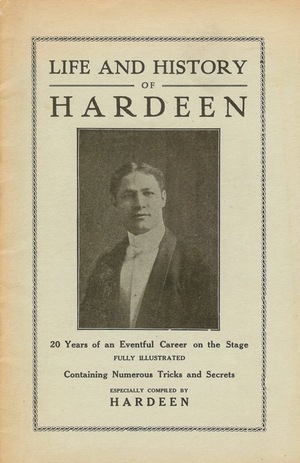 He began performing early, making his debut at age nine on the trapeze, billing himself as “Erich, the Prince of the Air.” When he became a professional magician, he chose the last name Houdini, calling himself after a French magician he admired, Jean Robert-Houdin, whose autobiography he read in 1890. Dash performed with his older brother. 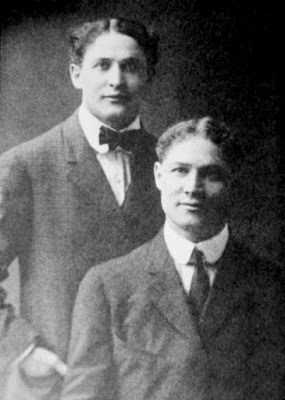 The two young magicians were known as “The Brothers Houdini.” They performed wherever they could, at Coney Island, in dime museums and circus sideshows, among other venues. The initial focus was on card tricks, but Harry began to experiment with escape tricks. Beginning with handcuffs, he went on to escape from water-filled, locked milk cans, nailed packing crates, and whatever the audience could contrive to challenge him. 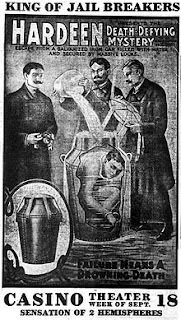 The straightjacket trick was originally performed by Harry being bound in the jacket, then going behind curtains and popping out a bit later freed from the apparatus. It was Dash who discovered that the audience reacted better if they performed their escapes without the concealing curtains. The people liked to watch their struggles, so they did away with the curtain while wriggling out of the straightjacket. 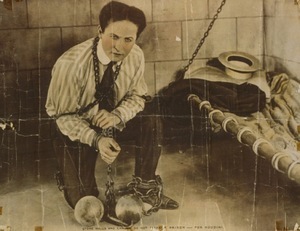 This photo of Houdini was originally captioned "Stone walls and chains do not make a prison — for Houdini." Sometimes they would both perform escape acts at the same time in different parts of a city. For instance, they would hang upside down, suspended by their ankles, in straightjackets and escape while crowds watched them. A film showing Harry’s straightjacket escape is in the Library of Congress. The escape took him two minutes and thirty-seven seconds. After Harry’s death of appendicitis in 1926, Dash inherited most of his brother’s props and other effects. He returned to performing and continued to work as a magician into the 1940s. He performed the old milk can escape, in which he was handcuffed and sealed inside a larger than normal milk can full of water. He also did the locked crate escape he and Harry had done in the early days, where he was chained and placed in a locked wooden chest, and many other tricks and escapes. While Harry’s will said his things should be destroyed on Theodore’s death, his brother sold much of the collection during the 1940s to another magician and admirer of Houdini, Sidney Hollis Radner. Some of these items were exhibited in museums, and most were later auctioned off. Houdini bequeathed much of his archives on magic and spiritualism to the Library of Congress. 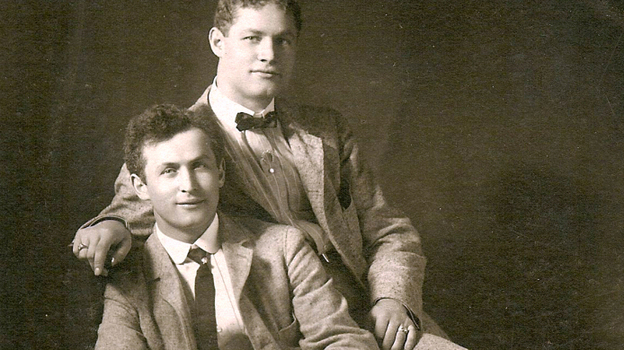 Other archives and memorabilia were willed to Houdini’s friend, magician John Mulholland. This collection was bought in 1991 by illusionist David Copperfield. 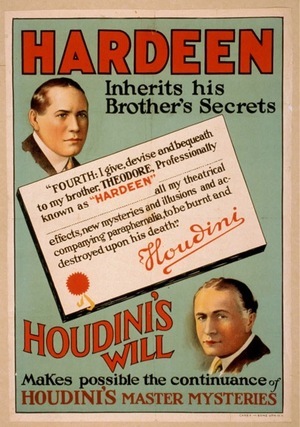 Poster with alleged excerpt from Houdini's will. Dash performed on the vaudeville circuit after Harry’s death and performed for the troops during World War II, as Harry had done in World War I. In 1936, Dash starred in Medium Well Done, a short film for Warner Brothers, in which he played a detective on the case of a bogus medium. Harry had made several films, including The Master Mystery, The Grim Game, Terror Island, and The Man from Beyond. Theodore “Dash” Hardeen Stopped performing in 1945, at the age of 69. He planned to write a book about his brother, but he went into the hospital for surgery and died unexpectedly from complications while recovering. The Brothers Houdini live on in the memories of all those who love magic. Susan’s new novella, The Reliable Cowboy, will release in August. To celebrate, she is now giving away a copy of one of her earlier westerns. The winner can choose a paperback or an e-book of Protecting Amy, Almost Arizona, or The Sheriff’s Surrender. Susan Page Davis is the author of more than fifty published novels. She’s always interested in the unusual happenings of the past. She’s a two-time winner of the Inspirational Readers’ Choice Award, and also a winner of the Carol Award and the Will Rogers Medallion, and a finalist in the WILLA Awards and the More Than Magic Contest. Visit her website at: www.susanpagedavis.com . A fabulous post thank you. Most of what I knew was from the 1953 film HOUDINI with Tony Curtis. Thanks, Mary. There's a lot of fascinating material out there--way too much to include. What a fabulously imformative post, Susan, thank you. I knew of Harry but not his brother performing ! I would be very interested in watching some old clips of both of the brothets performing ! Susan, what a wonderful author you are. I love your Amish books but have not read any of your Westerns. I know I would love them as well ! Isn't it amazing? And there were four other brothers and a sister! Just to set the record straight, I've never written an Amish book. could have told us some very interesting details of Houdini's secrets & not just about the tricks! Thanks, Deanna. I always learn a ton when I'm researching for this blog too. Wouldn't I just love to know more about that romantic triangle! Love learning more - something that happens each time I read HHH :). Thanks for the giveaway - would love to win! What an interesting post! I didn't realize that Harry had a brother he preformed with. The secrets that history holds! I didn't know most of this. Thank you for the post and the giveaway. Thank you all! This was a surprise to me as well. So much is forgotten with each generation. An interesting post about a name most Americans know, but probably know little about! I love your Prairie Dreams series Susan, would love to read more of your westerns. Such an interesting post.... Thank you, Susan! Have a great day! Thank you, ladies! Hardeen makes me think how many talented people are overshadowed by more famous names. Thank you for sharing this little known history, Susan. It's a shame Dash wasn't able to write his book! Oh, I know, Britney! There are lots of books about Houdini, but I'm sure he would have shared some things no one else could have. Very interesting! I've never heard of Hardeen before. Always glad to learn more history. And they once lived in Appleton, WI! I went to high school there. I was surprised about that too, Connie. I had read a book about Houdini once, many, many years ago, and I didn't remember that the family had lived in Wisconsin, or that the father was a rabbi. Marvelous article Susan.Thank you. Houdini has always been a favorite of mine. Thanks, Linda! I'm glad so many people enjoyed it. I had no idea! Fascinating! Thank you! Thanks, Danielle and Sharon. I think the family aspect pulled me in, since I come from a large family. Glad you enjoyed reading this. I remember the movie about Harry Houdini that starred Tony Curtis so I have always known about the famous magician Harry but I don't recall knowing about Dash and his partnership in the act. Thanks for an informative and entertaining post. And the winner is Kim Amundsen. Thank you ALL for taking part and making this a fun discussion.